Have you got a guitar sitting around that you want to learn how to play one day? How long has it been since you picked it up? What’s stopping you? A lot of newbie guitar players are overwhelmed by chord books, online guitar lessons aimed at professionals and an immense number of online tabs for songs which are way out of a newbie’s league. 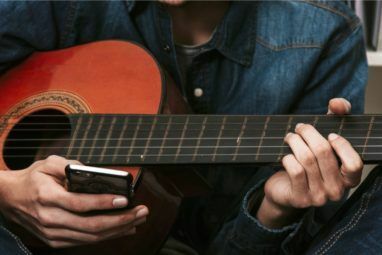 What new guitar players really need are some basic lessons and some sort of plan to help them practise the skills they need to get better at playing. Both of these are easily achieved with the help of two great websites, Justin Guitar and Music Discipline. Justin Guitar will guide you through lessons designed for beginners, while Music Discipline will get you practising drills until you’re perfect. It’s the perfect combination! Justin Guitar is a free, donation driven site designed to teach people how to play guitar. Lessons are given in detail on the site, while the video portion of the lesson is hosted on YouTube and uStream. You can subscribe to any or all of these in order to get new lessons regularly. Each guitar lesson includes another easy song for beginners to learn, showing you how to play the chords and sing along. He really breaks it down and makes it as easy as possible. Plus, he provides you with new songs to try on a regular basis which aren’t too hard. Justin Guitar used to host tabs of songs, but due to legal reasons he has removed them and started selling his own books of guitar tabs. 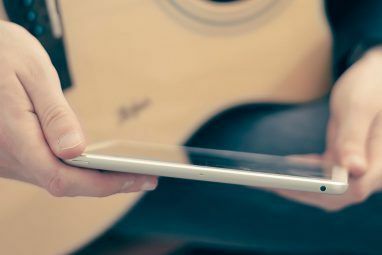 Most guitar tabs can be found with a quick search anyway – it’s knowing which songs to start with that’s the hard part! 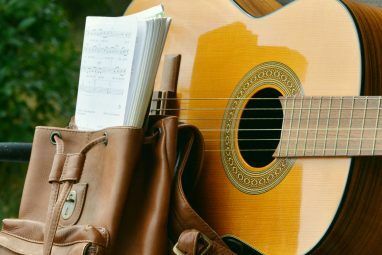 Beginners are advised to start at the beginner’s course, but once you’ve played for a while you can work your way through chords by finding lessons which focus on each one. You’ll love finding lessons via this site! 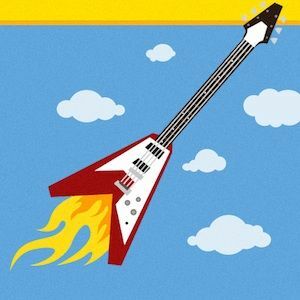 The site has lots of other things a new guitarist will love, such as basic skills, technique training, aural training, and tips for transcribing. There’s also a forum to ask questions in when you’re stumped. Music Discipline is a free site designed to give you practise drills for any instrument, but for the moment it’s still new and only has drills for lead guitar. But that’s fine for us! The drills are a little more abstract than the lessons on Justin Guitar, so if you just want a few tunes under your belt it might be worth sticking with Justin Guitar for a while before starting with Music Discipline. The way Music Discipline works is that you tell the site how much time you have and it designs a practise drill for you that is about the right length of time. Beginners will take quite a bit longer though, so tell it you have half as much time free as you really do. You can generate random drills without signing up for an account, but you may get repeat lessons. Signing up for an account ensures the site can deliver new lessons to you each time you practise and slowly work through all of the material without missing anything. You can also design a custom lesson if you like. Music Discipline will also help you to ensure your guitar is in tune and that you understand the terminology and music notation they’ll be using. They also try to teach you good posture and habits. In this sense it’s perfect for beginners! What are your favourite beginner guitar guides? Which guitar sites do you love? I enjoy Macri School Of Music's website's blog for learning the guitar and improvisation. World4Cheats Best Hacks, Cracks, Cheats, Keygens, Generator, Gamegenerator / Trainers and Game downloads in the Web! Justin guitar is really good. Just what my daughter need for the summer.